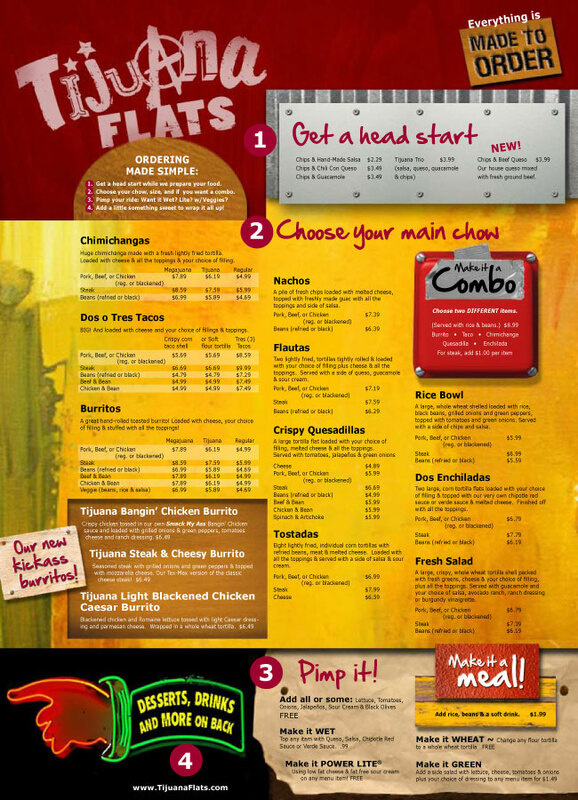 We were found online by the folks from Tijuana Flats in Florida and they had us to a menu for them, which everyone thought looked pretty cool. 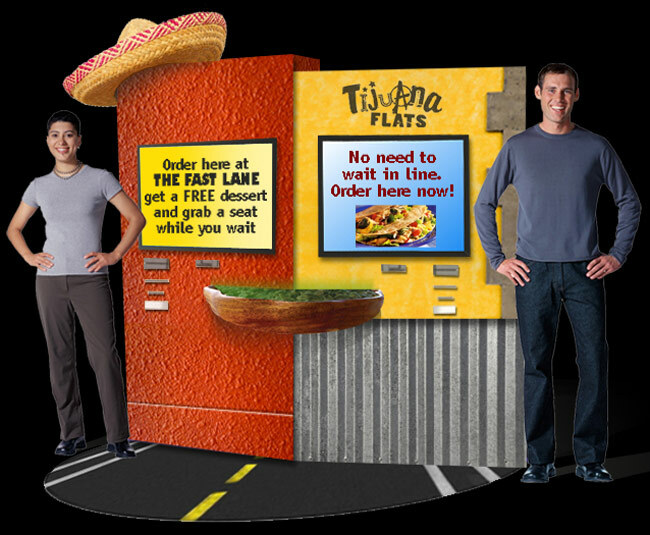 While we had their ear, along with Paul Haynes at The Interactive Group, we put together a concept for fast lane ordering to expedite the lines during their busy hours. It was never used, but we liked it so much we included it here.